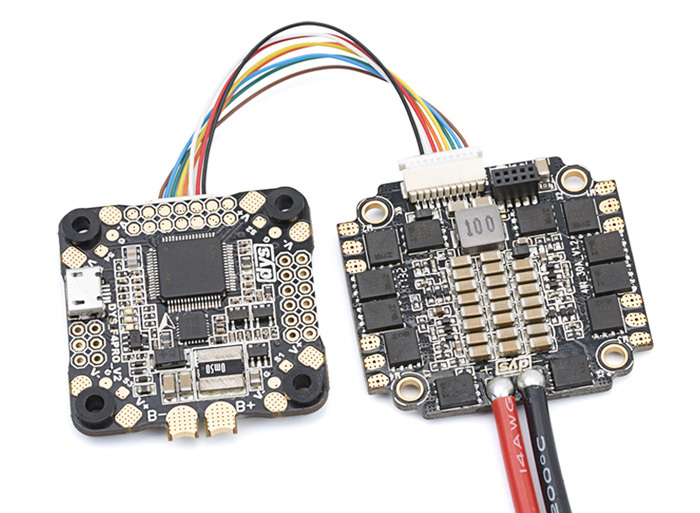 The DYS F4 Flight Controller V2 combines your PDC, FC, and OSD into one board. With a 3A 5V BEC built in you can power all your FPV gear, and with a current meter and MaH consumption, you can get real-time battery information on your screen. The 3oz copper PDB guarantees stable current flow up to 150A! New features with the V2 include 3.3v, PPM, and RSSI functionality. (Optional) If used with the DYS F20 4-in-1 ESC or F30, there is no need to solder, simply attach the flat cable.